Photovoltaic and solar-thermal panels generate free electricity by converting sunlight into electricity or transferring the sun's heat to heating and ventilation systems. The use of solar panels to generate energy provides many benefits, which include reductions in the costs associated with generating electricity. Solar panels also provide pollution-free power sources and afford new levels of independence to energy consumers. While coal power plants filter their emissions, trace amounts of toxic particulates penetrate air filtering systems and enter the atmosphere. Mercury is among the pollutants that enter the air from coal power plant emissions, and it can contaminate local ecological systems and harm plants, wildlife and human inhabitants. Because solar power is emissions-free, it is more safe for the environments and communities that neighbor solar panel arrays than are coal power plants. Because solar panels convert light from the sun into heat and electricity, they require no other source of fuel. Coal, natural gas, oil and nuclear power systems rely on nonrenewable resources to generate power. Coal and uranium mining are often devastating to their local environments. Heavy equipment, waste products and large-scale disruption of local habitats can render the land surrounding a mine barren and unusable after the mine is no longer in use. Coal mining is also dangerous to the workers who operate the mines. The use of solar panels eliminates these dangers to both miners and the environment. Nuclear power is sometimes classed as a clean or "green" energy source because of the lack of air pollution associated with it, but it generates harmful waste. Nuclear fission reactors are controversial because of the long-lasting nuclear waste they produce and the possibility of catastrophic events, such as the Chernobyl meltdown. Because sunlight is available at no cost, solar panels do not require expensive mining and fuel processing. Once a solar panel is built, it operates for free. 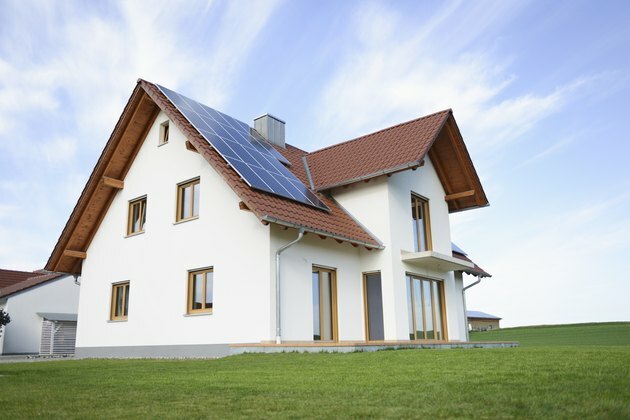 In some applications, solar panels can be used to supplement existing power sources to reduce the total cost of energy. In power systems where all of the needed electricity is supplied by solar and other renewable energy sources, such as wind or hydroelectric, electricity is generated completely free of cost. Nations that need to obtain oil and other fuel sources from other nations are beholden to their suppliers. Such countries may find it necessary to compromise their national safety or principles in order to maintain trade with their suppliers. Communities and nations who adopt solar energy systems reduce or eliminate their dependence on foreign fuel sources.